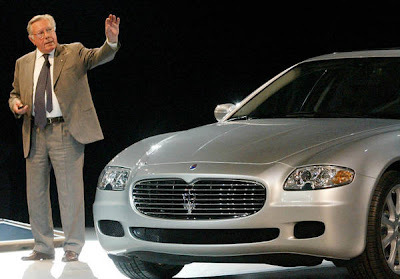 Last night, at the age of 85, Sergio Pininfarina has passed away in his house in Turin after a long desease. He was the son of Battista Farina, the founder of the famous Pininfarina company that realized the design to some of the most beautiful cars ever made such as the Maserati Birdcage, Alfa Romeo Spider, Honda NSX and the legendary Ferrari F40. Pininfarina has a long and famous collaboration with Ferrari with the realization of the design of their cars, with the born of many models such as the Ferrari P4/5, Ferrari 599, Ferrari California, Ferrari Enzo and many others. It's a great loss for the motoring, condolences to the family Pininfarina.